If a newspaper falls in a forest . . .
By Doug Firby on February 4, 2016 Comments Off on If a newspaper falls in a forest . . .
Will there come a day once again when members of a new fourth estate will be able to earn a living telling the stories that truly matter? CALGARY, Alta. 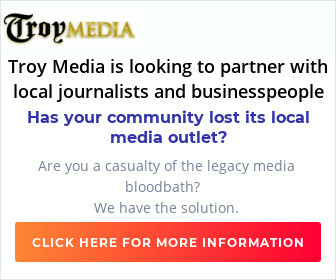 Feb. 4, 2016/ Troy Media/ — As members of the “fourth estate,” journalists have always considered themselves to be driven by a higher purpose. At their best moments, they exposed wrongs, mocked hypocrisy and delivered life-changing insights. It is for this reason that many journalists consider their profession to be of a higher order than many others. Their trade exists outside “the establishment”, hovering as a watchdog on the lookout for corrupt politicians, sly hucksters and crooked retailers. Like many other once-essential professionals, however, conventional journalism – represented by traditional newspapers and television – is riding a bone-jarring reality-check, triggered by the disruptive technology of the Internet. More than ever, the public just doesn’t agree with journalists’ lofty assessment of themselves and their role to society. The desperate straits – and many believe the imminent demise – of the once-great national newspaper chain now called Postmedia is a case in point. There was a time earlier in my career when the merger of the Sun and Postmedia newspapers into two “brands” generated by one team in one building would have triggered a public outcry leading to a royal commission. Over the years, the slow decline of newspapers was the subject of several such commissions, producing voluminous reports rich with poignant observations on newspapers’ vital role in preserving democracy. In each case, very little of consequence came of it. 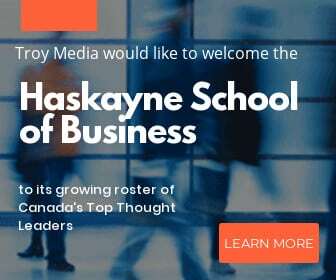 Today, it is clear that other than for the chattering classes of the journalism and political establishments, very few Canadians are terribly concerned about the financial fortunes of the mainstream media. As the industry stumbles from one once-unthinkable low to the next, the public barely seems to notice. 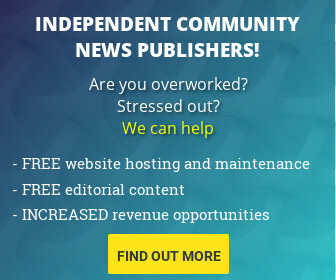 They do, after all, exist in a world in which a vast array of world-class content (and a lot of garbage, too) is available for free, so why pay to support the local “rag”? Meanwhile, Torstar’s John Honderich and Postmedia’s Paul Godfrey are engaging in a verbal equivalent of a WWF slugfest, hurling public insults at each other and squabbling over who is to blame for the sorry state of the industry. Honderich’s Toronto Star called Postmedia “a cancer” in a Sunday feature column; Godfrey responded by pointing out it was the Star, not Postmedia, that chose to close the Guelph Mercury last week – and questioned why the pot is calling the kettle black. Except for the novelty of the public spectacle, few Canadians seem to care what these two old white guys say about each other. And without such public concern and support, the industry as we once knew it is certain to die. Why the lethargy? Recent polling, like this [popup url=”http://www.ibtimes.com/respect-american-media-decline-journalists-only-slightly-more-popular-lawyers-says-pew-research” height=”1000″ width=”1000″ scrollbars=”0″]2014 poll[/popup] by the Pew Research Institute, tells us that journalism is very much out of public favour. The Pew poll found that, out of 10 occupational groups in the U.S., journalists ranked near the bottom of the list, with just one in four respondents saying journalists contribute “a lot” to society’s well-being. Only business executives and lawyers ranked lower, at 24 per cent and 18 per cent, respectively. Such findings are very much at odds with journalists’ romanticized views of themselves. Rather than being noble flag-bearers for the afflicted, newspapers are now seen as little more than money-obsessed, out-of-date products that wouldn’t hesitate to kill a good story if it meant appeasing an increasingly rare advertiser. Worse for them, they are no longer even necessary in the minds of many. Classifieds ads are free on Kijiji, the latest headlines come faster on Twitter, TMZ breaks entertainment news and countless specialty sites offer a range of lifestyle, sports, travel and other feature sections that used to form the backbone of the local paper. As a journalist who raised a family and bought a home on income earned from newspapers, I watch this cultural shift with a combination of horror and fascination. Ultimately, it doesn’t matter what I think, nor does it matter that my peers rue the loss of the once-high standard of news content vetted by cranky old editors. The Internet age has turned the way we gather and consume news on its head. And there is no going back. The big question, of course – for society at large, really – is what is the way forward? Will there be a day sometime in the future when members of a new fourth estate will be able to earn an honest living telling the stories that truly matter? Doug Firby is Editor-in-Chief and National Affairs columnist for Troy Media. 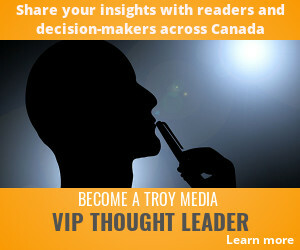 Doug is also included in Troy Media’s Unlimited Access subscription plan.